Every once in a while I happen to run into some old documents about Apple, and it always intrigues me to look up the addresses that were used as offices for the company back in the old days or that played a key part in the early history of the company. Here's a look at what some of these places look like today, courtesy of Google Street View. I just can't imagine Steve Jobs being happy in a building like that, can you? One of the local retailers selling the first Apple II was the Byte Shop at 3400 E. El Camino Real, Santa Clara, CA 95051. Where the cream of the crop of personal computing was once sold, you can now get a massage or go to Jenny's Foot Spa. The Byte Shop was a nationwide chain at one point in the late 1970s -- I recall going to one in Boulder, Colorado to see some of the early Apples and other computers. The Byte Shop chain was started at 1063 El Camino Real, Mountain View, CA in 1975 by Paul Terrell. There's a great Facebook page honoring the original Byte Shop. If Terrell hadn't ordered the original Apple machines to sell in his store, there may not have ever been an Apple Inc. The building is now the home of a law office, the United Systems Technology computer store, and the Cupertino Driving School. There's no word on whether the latter business is teaching Apple cars to drive themselves. This actually looks like it would have been a place Steve Jobs would have liked if he was still alive: nice fully grown trees, a Whole Foods Market within walking distance... 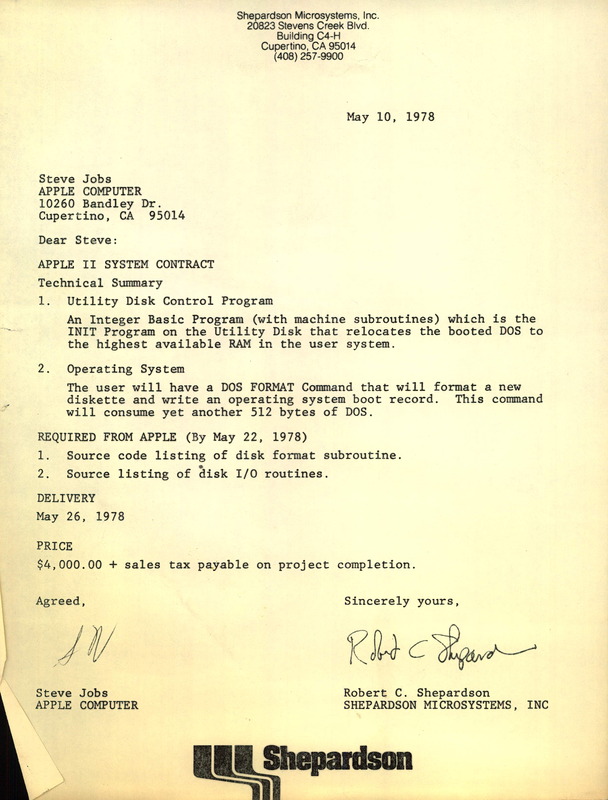 This address came off of an October 1977 price list for the Apple II, showing that you could purchase the top-of-the-line unit with 48K of RAM for just $2,778 (about $11,000 in 2015 dollars). If you have any Street View images of "Apple Heritage Sites" you'd like to add to the mix, send them to me via the email link in the sidebar and I'll consider adding them to this post.